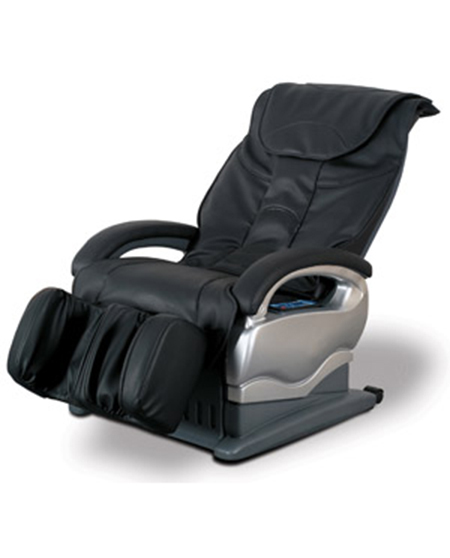 Programmed with six kinds of emulation massage functions of shiatsu, kneading, flapping, knocking, synchronous kneading and flapping, and vibrating for each of which five speed choices and width adjustment of the rollers are available. The vertically movable mechanic massage hands provide overall, partial and fixed position massage. Three airbags in the seat cushion, eight airbags in the calf support, kneading functions in calf, three kinds of speed to be chosen.